Beloved husband, father and surgeon, died at his home on Cape Cod on October 28th, surrounded by his wife Linda and their three daughters. Born in Boston in 1935, he was oldest son of Arthur C. and Sophia (Gouda) Hasiotis. Educated in the Boston Public Schools and raised in the Greek Orthodox Church, Chris' proudest early achievements included earning the rank of Eagle Scout and quarterbacking the Boston Latin School Varsity football team. A biology major and Adams house resident at Harvard College (1957), Chris was a member of the football and baseball teams and Army ROTC. After earning his medical degree at the University of Vermont College of Medicine, Chris completed his surgical residency at Boston City Hospital where he served as Chief Resident. Adored by his wife of 45 years, Linda (Christie) and daughters Alexis and husband Laurence Wintersteen of Brookline, Aliki and husband Ted Broderick of Winchester, Dina and husband Tim McEvoy of New Orleans. Chris was the proud and loving "Pop" to five grandchildren and three step-grandchildren. Second only to his family were the patients, students and colleagues he encountered during his many years in private practice. Chris served as Surgeon Emeritus at Mount Auburn Hospital, Chief of Surgery at Sancta Maria Hospital, Assistant Clinical Professor of Surgery at Tufts Medical School and Clinical Instructor at Harvard Medical School. Chris was a fellow of the American College of Surgeons and member of the Boston Surgical Society, American Medical Association and Massachusetts Medical Society, as well as past president of the New England Hellenic Medical Society and past President of the Order of Ahepa Chapter 24. ​A gifted and caring radiologist, Dr. Paul Dratch possessed such intuitive diagnostic skills that he could “almost see into the patient without X-rays,” recalled Dr. Stanley C. Foster, a longtime friend and former colleague at Mount Auburn Hospital. Known for choosing thick biographies and history books as beach reading, Dr. Dratch drew from vast stores of knowledge as he made every conversation unforgettable. Dr. Dratch, who spent his career at Mount Auburn and had only retired in January, died Oct. 5 in his Lexington home of acute myeloid leukemia. He was 78. With her father around, comedy “was just in the air. He was joyous about everything,” Rachel Dratch said. The youngest of seven children, Paul Leon Dratch was born in Somerville and was an elementary school pupil when his family moved to Mattapan. His parents, both immigrants from what is now Ukraine, were Benjamin Dratch, who painted the interiors and exteriors of houses, and the former Clara Turok. Dr. Dratch graduated in 1956 from Boston Latin School and in 1960 from Harvard College. He acted in college plays and subsequently in community theater for many years. One role at Harvard, as the bartender in Eugene O’Neill’s “The Iceman Cometh,” found its way into family lore because the character’s foul language drew the ire of Dr. Dratch’s father, when he attended a show. 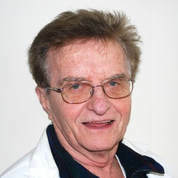 Dr. Dratch graduated from Tufts University School of Medicine in 1964 and served for a few years in the Army Reserve Medical Corps before joining the staff of Mount Auburn Hospital in 1971, where he received multiple awards for teaching. In 1964, Dr. Dratch married Elaine Soloway, whom he met on a blind date, and who later was director of the Share-a-Ride agency, which provided transportation to the elderly and those with disabilities. A biography of former Soviet leader Joseph Stalin that stretched for nearly 800 pages might be ideal summer reading for Dr. Dratch, but “at the same time, he enjoyed a lot of pop culture, so it was fun to talk with him about what was on Turner Classic Movies or the latest Hollywood dish,” said Ronna Foster. Dr. Dratch also played the euphonium — what he liked to call “the forgotten horn” — in the Lexington town band for 40 years, “but I know that career will probably go nowhere,” he noted drily in 1995 in an anniversary report for his Harvard class. He would bring Passover Seders to a close by playing “God Bless America” on his euphonium, as a tribute to his immigrant father, who sang the song at Seders when Dr. Dratch was growing up. A service has been held for Dr. Dratch, who in addition to his wife, children, grandson, and brother leaves a sister, Mary Rosenfield of Dedham, and a brother, Nathan of Boynton Beach, Fla.
During his years at Mount Auburn Hospital, Dr. Dratch “had the ability to take a room full of people talking about something serious and turn it into a comedy show in two seconds,” Rogoff said. ​Stephen Alan Youngwirth, Age 69 of Boston, MA, passed away after a short battle with cancer on Jan. 21, 2017. Stephen was born in Atlanta, GA on August 3, 1947 to Sol and Grace Youngwirth. He received a Doctorate in Medicine (M.D.) and Bachelor of Science (B.S.) after completing dual enrollment at Rensselaer Polytechnic Institute and the Albany Medical College of Union University. Following graduation, he became a major in US Air Force serving as flight surgeon. It was love at first sight when he met another officer, Joni Yttreness. As luck would have it, she didn't need to change her monogram after their April 1975 wedding. Following military discharge, he completed a residency in Ophthalmology at Boston University followed by a Retina fellowship at Mass Eye and Ear. He conscientiously cared for patients in his private practice for over 30 years and, more recently, at Ophthalmic Consultants of Boston. He was a passionate pilot for over 5 decades. He flew out of Hansom Air Force base since the 1970's. Stephen and Joni's most recent flight was piloting to Virginia in August 2016 to visit their oldest Air Force friends. Stephen and Joni made their home in Lexington, Massachusetts for over 30 years. He considered his daughter Nicole of Cambridge, Massachusetts and son, David, of San Diego, California, the greatest blessings of a long and happy marriage. In addition to his wife and children, he is survived by his parents and brothers, Lewis (Mary) and Glenn (Dina). He has many nieces and nephews who will cherish his memory. His family, patients and friends will remember him as a kind, conscientious, modest man with a quiet sense of humor. Truly, a mensch. Dr. Foley was the past president of Saint Elizabeth’s Hospital Medical Staff, long standing Trustee of UMass System, and Boston Red Sox Baseball Club Internal Medicine Consultant and Physician in attendance, Fenway Park. As physician-in-attendance at Fenway Park for almost 25 years, Dr. Michael T. Foley was town doctor for the community of Red Sox fans who gather for home games. So omnipresent was Dr. Foley at Fenway that a longtime colleague once said he was the de facto mayor of that city of fans who fill the seats. Starting out in 1979, Dr. Foley attended to spectators and sports stars alike during games, and with his small staff sometimes treated as many as 100 patients per game. Dr. Foley, who for more than 30 years was a physician at St. Elizabeth’s Medical Center in Brighton, the hospital where he was born, died of cardiac arrest Dec. 11 in Lahey Clinic in Burlington. He was 63 and lived in Arlington. Serving in a number of roles at St. Elizabeth’s, Dr. Foley was appointed chief medical resident in 1978. He was a clinical fellow in gastroenterology there while serving as a research fellow at Lemuel Shattuck Hospital in Boston, and later became president of the medical staff at St. Elizabeth’s. Working long hours at St. Elizabeth’s, Dr. Foley was so thorough with each case, taking meticulous notes, that he occasionally was tardy while moving from patient to patient. “He was sometimes late, and my theory is he would be walking along the halls and he would always stop to talk to people,” his wife said. Along with his private practice in Arlington, Dr. Foley formerly led the medical staffs at Symmes Hospital in Arlington and the Soldiers’ Home in Chelsea. He also had been chief of the medical staff and program director for gastroenterology at Kindred Hospital Boston in Brighton. Dr. Foley, who loved teaching medical students, had been a clinical instructor and later an assistant professor of medicine at Tufts University School of Medicine. A son of John Foley and the former Rita Flanagan, Dr. Foley grew up in Arlington, where his father was a marketing representative for Chevron Oil and his mother was a church organist and schoolteacher. Family lore has it that Michael Foley was 4 when he decided to become a physician. He graduated from Arlington Catholic High School and the University of Massachusetts, Amherst. He then went to UMass Medical School in Worcester, graduating in 1976. The summer after his first year at medical school, Dr. Foley took a biochemistry course at Tulane University in New Orleans and met Anne Higgins, who was working at his dorm’s front desk. They were friends at first, until Dr. Foley asked her out on his last night in New Orleans. They dined on gumbo and promised to stay in touch through letters. After three years of a long-distance romance, she finished law school at Tulane and moved north to be with Dr. Foley. They married in 1977. Living in Arlington, Dr. Foley often encouraged high school students who wanted to become doctors. For 15 years Dr. Foley served as a trustee in the University of Massachusetts system, and in 2009 he was awarded the Distinguished Alumni Service Award from the UMass Amherst Alumni Association. He was a founding member of the University of Massachusetts Club in Boston. Dr. Foley was involved in organizations such as the New England chapter of the Crohn’s & Colitis Foundation of America, which honored his contributions in 1998. He also worked with the American Liver Foundation, which gave him an award for excellence in 1994. He was a member of the American Society for Gastrointestinal Endoscopy, the American Gastroenterology Association, and was a fellow of the American College of Gastroenterology. Gonzalez said he worked with Dr. Foley the Friday before he died, and that his mentor was “right on his game,” seeing several patients and still cracking jokes. A service has been held for Dr. Foley, who in addition to his wife leaves two sons, Michael of St. Petersburg, Fla., and Patrick of Boston; a daughter, Elizabeth of Arlington; a brother, John of Virginia; and three sisters, Judith McManamon of Falmouth, Maryalice of Arlington, and Paula J. Leibovitz of Winthrop. Dr. Foley had served as a trustee of Por-Cristo, a Brighton-based charitable medical group that works with at-risk women and children in Latin America, and taken part in fact-finding missions to Ecuador and the Dominican Republic. He might have been happiest, though, traveling through Fenway Park. “Working as the fan’s physician is the dream mix between my interest in sports and medicine,” he said. Depending on the day, Dr. Foley might diagnose patients with anything from a heart attack to heartburn. Glasgow in Scotland, he met his wife Elizabeth. In 1957, Dr. Sorger relocated to Canada and worked as an Assistant Professor of Pathology at Dalhousie University in Halifax, Nova Scotia. Anatomic and Clinical Pathology, and served as a Fellow of the Royal College of Physicians and Surgeons of Canada and a Fellow of the College of American Pathologists. He was also appointed Lecturer in Pathology at Harvard Medical School. 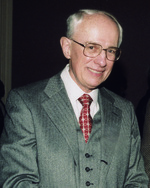 Dr. Sorger served as President of the Mount Auburn Hospital Medical Staff in 1984 and subsequently served as a Trustee on the Mount Auburn Hospital and Foundation Boards. Dr. Sorger is survived by his wife, two sons, Peter and Martin and four grandsons. Rather than seek acclaim within his specialty, Dr. Roger Lange focused on treating one cancer patient at a time. Then, at the end of the day, he went home and spent time with his family. In the community of the seriously ill, Dr. Lange sported a Groucho Marx mustache that made him instantly recognizable, and he offered unhurried compassion each time he spoke with a patient. Dr. Lange, who had been chief of the division of hematology-oncology at Mount Auburn Hospital in Cambridge and also was on the staff of Beth Israel Deaconess Medical Center, died Jan. 19 in Beth Israel of complications of multiple myeloma. He was 68 and lived in Brookline. Bubley said it wasn’t that Dr. Lange had more time than other doctors to spend on his patients. He just made sure to answer all their questions thoroughly and let the conversation unfold without patients feeling rushed. “He would calm them down, get them to have a realistic, but more positive view of their illness,’’ he said. Korostoff said that when she was first diagnosed, she was given plenty of advice on what to eat or drink. When a colleague told her green tea would help, she asked Dr. Lange. Dr. Lange, who also taught at Harvard Medical School, loved to make jokes, Bubley said, but they were almost always at his own expense. “He came from nothing,’’ said Bubley, who added that no question would prompt Dr. Lange to pass judgment on his patients. “It was well known in our medical center that he had this capacity, this incredible patient-centered approach to medicine,’’ he said. Born and raised in Chicago, Roger Frederick Lange went to South Shore High School, where he played baseball and basketball. He met Lois Platt when she sat behind him in a seventh-grade classroom. In eighth grade, they worked together on the student council, and remained close friends until their senior year, when he asked her to the prom. She had turned down another offer, hoping he would ask her. “I think his friends said ‘What are you waiting for?’ ’’ she recalled, laughing. In 1961, when they graduated from high school, Dr. Lange went to Harvard College and she went to Brown University in Providence. They wrote letters two or three times a week and visited frequently. When they both graduated, she went to Columbia University in New York City for a graduate degree in social work, and he attended Harvard Medical School, graduating in 1969. In 1967, after she finished graduate school, they married and lived in Boston while he finished medical school and a residency. They moved to Maryland for two years while he worked at the National Institutes of Health, then lived in St. Louis for a year before returning to Boston. Dr. Lange began growing his thick mustache around the time their son, David, was born. Soon after, their daughter, Nancy, was born. David said that for his wedding, the family stocked plenty of Groucho Marx masks, and guests who donned them wanted to pose for photos with Dr. Lange. Throughout his life, Dr. Lange made exercising a priority. During summers, he and his wife rode bikes and in the winters they went cross-country skiing. “He was always one to say, ‘Just a few more miles,’ ’’ she said. When their children were in high school, the family, along with her sister, went to France and biked throughout the country. Dr. Lange and his wife also played tennis, and he coached his son’s Little League baseball team in Brookline. For Thanksgiving each year, Dr. Lange made a barbeque turkey on the grill on the back deck of the Brookline house where his children grew up and where he and his wife were living when he died. “It could be snowing, but we’d go out there and have a drink and bring in the turkey,’’ Bubley said. Throughout Dr. Lange’s career, his wife said, grateful patients sent him gifts by way of saying thanks. About 10 years ago, the Langes awakened to find their driveway clear of snow that fell the night before. A few snowsotrms passed before they realized the driveway was cleared by a patient who knew where they lived and wanted to repay Dr. Lange for his help. A service has been held for Dr. Lange, who in addition to his wife, Lois, his son, David, of New York City, and his daughter, Nancy, of Jamaica Plain, leaves his brother, Paul of Rehoboth Beach, Del. ; and two granddaughters. As Dr. Lange’s health declined, his wife was overwhelmed by the response from the cancer community. 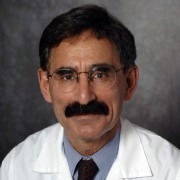 We are so very sorry to report that Dr. Steve Karian died May 11, 2011 at his home after a courageous battle with pancreatic cancer. Steve was with his family at home and had just recently returned from a trip to his beloved Paris, France. Dr. Karian joined the Department of Surgery, Division of Urology, on October 26, 1979. He was on the active staff at Mount Auburn as well as Melrose Wakefield Hospital. For many years Dr. Karian and his partners maintained urology offices in Cambridge at Mount Auburn, and in Waltham, Somerville and Melrose. In addition to his excellent clinical skills as a urologic surgeon in the operating room and in the office, Dr. Karian consistently showed true warmth and compassion for his patients. He deeply appreciated the nursing staff and O.R. teams with whom he worked and admired and respected his fellow physicians both in his department and throughout Mount Auburn Hospital. His sense of humor and love of life will always be remembered. Dr. Karian graduated from the University of Montpellier in Montpellier, France and did his internship at Boston City Hospital. He completed his surgical residency and his residency in urology at Boston University Medical Center. His many professional activities included service as President of the Deaconess Waltham Medical Staff and as a member of the Deaconess Waltham Board of Trustees. He was active for many years in the Armenian Medical Association and served a term as President of the Association. More recently Dr. Karian and his family traveled frequently to Paris where they had purchased a vacation apartment. He spoke fluent French and visited France as often as possible. His love of art and all things French was second only to his love of family. Our sympathies go out to his wife Dr. Melody Craft Karian and his two children, Laurel and Peter. He was pre-deceased by his daughter, Lily. As it did with her mother, breast cancer entered Dr. Madeline Crivello’s life when she was young, just 40. Given a 5 percent chance of living five years, she decided she wanted to see her children grow up and endured an experimental treatment and a bone-marrow transplant before celebrating a disease-free fifth anniversary of her diagnosis. Cancer, it turned out, was malady and muse. Dr. Crivello, the first director of women’s imaging at the Hoffman Breast Center at Mount Auburn Hospital in Cambridge, died of a recurrence of cancer on Feb. 19 at Avow Hospice in Naples, Fla., near where she was staying with relatives to avoid the winter cold. She was 58 and lived in Newtonville. Alice Hoffman, a novelist who lives in Cambridge, lent her name and financial support to the center at Mount Auburn Hospital after being treated there for breast cancer and encountering physicians such as Dr. Crivello. Hoffman was among the writers who honored Dr. Crivello with a Rheta Foster Award in 2009 during an “Evening With Your Favorite Authors’’ gathering in Cambridge. Healing was a calling Madeline Silvia Crivello first heard growing up in Milwaukee and suburban Glendale, Wis., when her mother was diagnosed with breast cancer at 35. She graduated in 1969 from Nicolet High School in Glendale, from Radcliffe four years later, and from the Yale School of Medicine in 1977. After further training, including as chief resident in radiology at Beth Israel Hospital, she began her career and soon joined the staff of Mount Auburn. At Mount Auburn and elsewhere, Dr. Crivello was famous for her biscotti and Christmas cookies. Dr. Crivello, whose marriage to Dr. Edward Nardell ended in divorce, lived more than 18 years beyond her diagnosis, long enough to see her daughter, Maria Nardell, begin studying medicine and son, Anthony Nardell, approach graduation from Marquette University in Milwaukee. “She’s always been an inspiration to all of us, and particularly me as someone who followed in her footsteps,’’ said Maria, who, like her mother, went to Harvard and now is at Yale’s medical school. In addition to her daughter, son, and brother, Dr. Crivello leaves another brother, Joseph of Storrs, Conn.
A memorial service is planned for 3 p.m. Friday in the auditorium of Mount Auburn Hospital in Cambridge. GAUVIN, Gregory P., M.D. Age 62, of Lincoln, formerly of Westmont, NJ, died on April 12, 2009, at the Beth Israel Deaconess Medical Center from prostate cancer. He is survived by his devoted wife, MaryLou, and loving daughter, Michelle. The memory of former Lincoln resident Dr. Greg Gauvin, who passed away last year of prostate cancer, will live on in the form of an art gallery at Mount Auburn Hospital in Cambridge. Not only was Greg a talented physician, practicing pathology at Mount Auburn for more than 30 years; he was also an accomplished artist and athlete. Greg completed the Boston Marathon 28 times and took thousands of black-and-white photographs, many of which were exhibited in Lincoln and elsewhere. After completing medical school at Thomas Jefferson University’s Jefferson Medical College, Greg undertook his internship at St. Elizabeth Medical Center and his residency at New England Medical Center. He did a specialty residency at the University of Vermont before finally going to work at Mount Auburn, where he worked and taught for more than 30 years, including 10 as Chief of Pathology. During this time, he focused his lens on the New England environment, taking pictures of the woods and fields of Lincoln and surrounding areas. Mary Lou said her husband was especially interested in the way images would change over time. “He would often return to a site that he had been to over and over again, just to try to capture a image in a different lighting situation or a different seasonal change,” she said. Mary Lou said noted photographer Bill Cliff, whose mother lived in Lincoln, became good friends with Gauvin and was supportive of his hobby. Michael O’Connell, Vice President for Planning and Marketing at Mount Auburn, knew Greg Gauvin for 28 years and said he was a very skilled physician. O’Connell said Gauvin was known within the organization for being generous with his artwork. “When someone was leaving or got a promotion or some landmark experience in your life, he would give you one of his black-and-white photographs,” he said. This lasting reputation led to the decision to honor him with a permanent art space. The gallery, which was unveiled in June to a crowd of over 100 people and will officially open in August, will display two exhibitions of Gauvin’s photographs before beginning to display other artists’ work.